One of the most consistent demands for any project is development speed. For Janssen’s vaccine, the pressure for faster speed to clinic was driven by two factors. The first is the need for the vaccine itself. For HIV, an epidemic tracing back to the mid- to late 1970s, the United States has seen considerable progress with prevention and treatment. Yet, for areas like sub-Saharan Africa, where 66 percent of new HIV infections occur,2 efforts to develop effective protection against a wide range of viral strains continue. With so many patients in South Africa being 15 years old or younger, developing a vaccine is critical. The second driver for speed involves the strategy of a prime-boost application. The process development strategy and clinical evaluation of the vaccine relies on concurrent availability of the prime and the booster. If the booster injection is not administered to a clinical study participant within a specific calendar time frame after the prime injection, the study participant may not achieve the desired immune response. 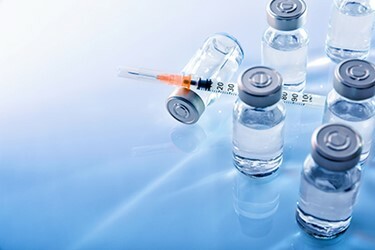 Therefore, parallel development of the prime and boost must be achieved and streamlined, so the final vaccine product can be produced, labeled, packaged, and delivered. One option for drug and vaccine developers to achieve the fastest and most efficient path to clinic and market is to build strategic partnerships with contract development or manufacturing organizations that offer unique capabilities, specialized products or services. This approach can provide rapid resource scale-up, including the ability to run multiple activities in parallel, as well as access to novel technology and established expertise. This was the approach Janssen chose to accelerate development of the manufacturing process for its HIV vaccine booster. For this HIV booster, Janssen’s development team was facing a completely new class of therapeutic protein, which also came with new challenges. “Historically, my team worked on monoclonal antibody process development. In this case, our product was a recombinant construct of a trimeric cell surface protein from the HIV virus, so it is an extremely complex, highly-glycosylated protein,” explains Chris Rode, Scientific Director at Janssen Biotherapeutics Development. “While it is produced on the upstream side by mammalian cell culture, no convenient affinity purification step, such as Protein A resin used for monoclonal antibodies, exists.” The team needed to identify potential chromatography resins that would ultimately form the downstream purification process. The conventional pathway to finding a resolution to this is to hypothesize a mechanism of bind/release through a chromatography resin matrix, try classes of resins until one is found that provides suitable separation, and then repeat the process in order to incrementally improve the purification. It is a lengthy, step-by-step process of trial and error. “To facilitate the speed of clinical process development, we had to assess how this approach would affect our project timeline and then look at strategies to shorten the R&D phase,” says Rode. After detailed planning and evaluation, Janssen chose to look externally for options to accelerate high-volume resin screening. When bringing a product with potential for worldwide application into the market, the scale of manufacturing can be immense. The process developed for Janssen’s protein booster had to be manufacturing-friendly and robust to avoid any downtime due to batch failure or delay. Cost of goods was also a concern, as were consistent purity and safety. The absence of a Protein A capture step presented a major challenge for this project when it came to these needs. “We had to figure out how we would design a primary capture process that sets us up for success throughout the entire downstream,” explains Rode. “That would dictate the overall process yield, which ultimately drives the cost-of-goods. We also had to ensure a consistently high product purity and safety regarding removal of process-related impurities.” Janssen decided that the best option to facilitate speed of development and maximize the potential of finding viable chromatography resin systems was to enlist the assistance of the GE Healthcare Life Sciences Fast Trak team (with whom Rode had worked previously to troubleshoot downstream purification problems). GE’s Fast Trak Centers replicate a real-life industrial setting where biopharmaceutical manufacturers have access to industry expertise encompassing process and analytical development, process scale-up, and manufacture of drug substances for use in toxicology studies or Phase 1 and 2 clinical testing. Based on past experience, Rode knew Fast Trak had a 96-well format resin system in which his team could complete robotic high-throughput resin screenings. In addition, the Fast Trak offers customers on-site access and transparency during all production batches, so Rode and his team could be actively involved during the screenings. “My personal philosophy is not to establish a traditional vendor/customer relationship, but, in any and every way possible, establish a one-team strategic relationship, which is what we were able to do with Fast Trak,” he explains. “With Fast Trak, we did not operate in a scenario where I ship a sample to their lab, they perform an experiment, and then they return samples back, so we can perform analyses. Instead, we sat down together and agreed to the project goals and what was feasible, including analytical support. Then, we managed the project as one common group. The analytics were done on-site and side-by-side with the corresponding experiments. This allowed us to map out a potential manufacturing process that my team could then pick up and work with in-house to finish the actual application and final development.” Along with the Fast Trak team, Rode and his team completed a rapid screening of the GE portfolio of resins to look for quick hits of what could be a feasible purification strategy. Through this collaboration, the two organizations were able to work together to identify high-potential resins utilizing GE’s high-throughput process development (HTPD) techniques to optimize for improved product recovery. At the same time, the team knew the resins they chose would be robust for large-scale operation. Ultimately, Janssen Biotherapeutics Development successfully utilized an external collaboration approach to accelerate the HIV vaccine booster process development and production of clinical supplies in a very aggressive timeline. Rode credits the building of effective partnerships and a “one team” approach. “Working with GE to facilitate process development, the Fast Trak team worked as an extension of my development team,” he says. Johnson & Johnson Announces Encouraging First-in-Human Clinical Data for Investigational HIV Preventive Vaccine — http://www.janssen.com/johnson-johnson-announces-encouraging-first-human-clinical-data-investigational-hiv-preventive. HIV.gov, The Global HIV/AIDS Epidemic — https://www.hiv.gov/federal-response/pepfar-global-aids/global-hiv-aids-overview.